Learn about shapes and colors with this cool and simple Free Shapes and Colors Learning Printable. 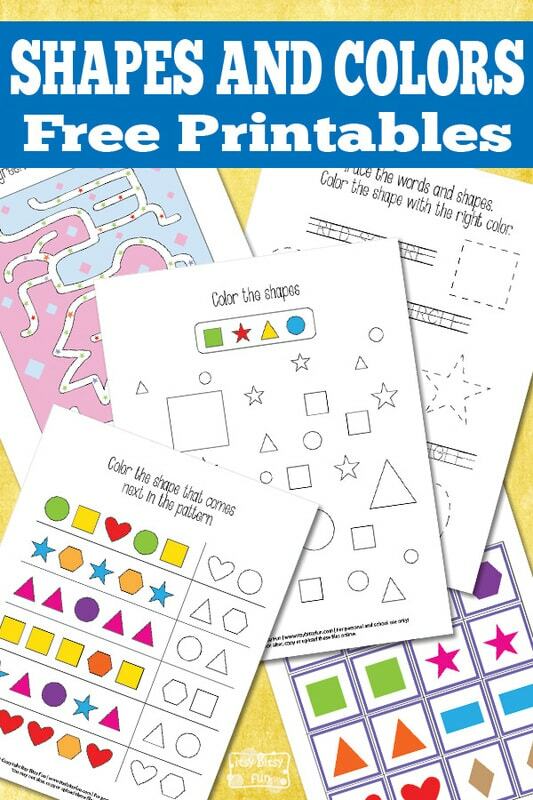 These cool printables are perfect for kids in preschool and kindergarten. Let’s start with the patterns. On the first page, there are 6 rows of patterns. Kids have to find what shape comes in each pattern next and color it with the right color. This cool game is great for shape and color recognition and plays the main role in every pattern recognition. On the next page, there are four colored shapes. There is a green square, red star, yellow triangle and a blue circle. Find those shapes below and color each one of them with the right color. The next page is a tracing page. Kids have to firstly trace the words and shapes. When they finish racing, they can color each shape in the right color. Now let’s have some more fun with a lovely maze. Follow only the green stars and solve it. This maze is great for practicing color recognition. And on the last page, there are eight different shapes. There is a circle, hexagon, square, stars, triangle, rectangular, heart, and diamonds to play with. You can laminate the cards to make them stronger and last longer. So, cut them out and enjoy playing the shape memory game. 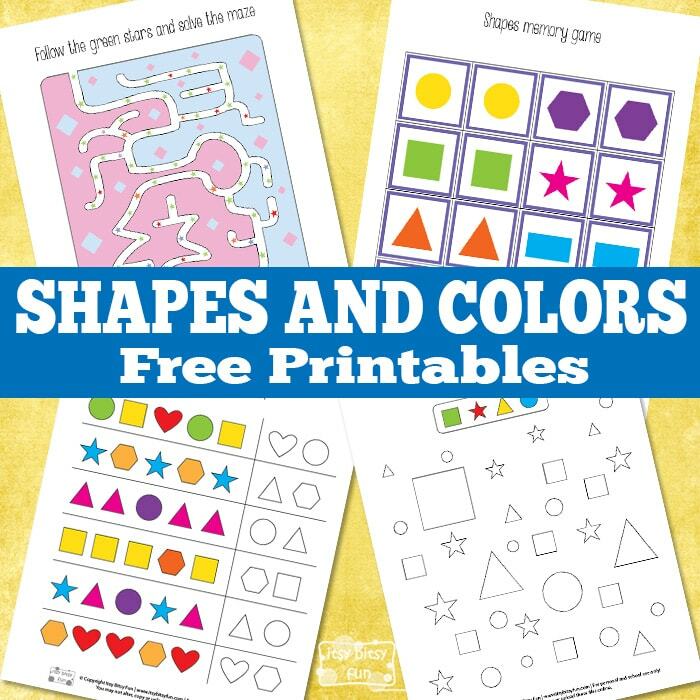 Get your free printable Shapes and Colors Worksheets here.